During the summer months, we typically host quite a few outdoor gettogethers. This year, we have been invited to quite a few, too, which means that I need a great idea for some DIY hostess gifts. I mean, I could always just run out and buy a hostess gift but where is the fun in that? I love DIYing my gifts so I thought that surely there was an idea or two out there that I could DIY for my hostesses. Would you believe I found 25 easy DIY hostess gifts that every hostess will love? 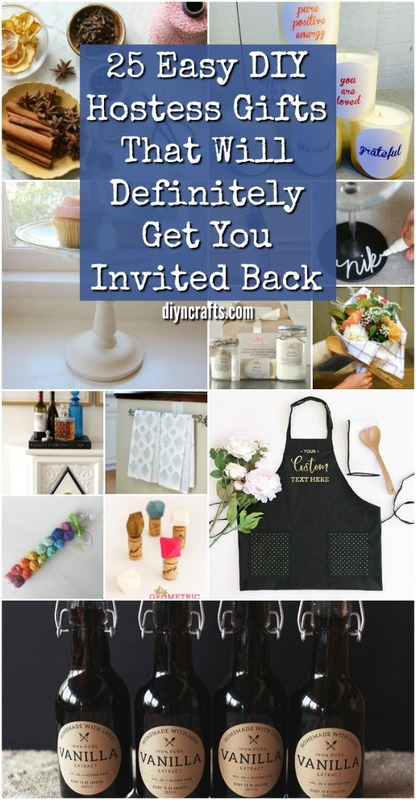 These are certain to get you invited back to your hostesses home! 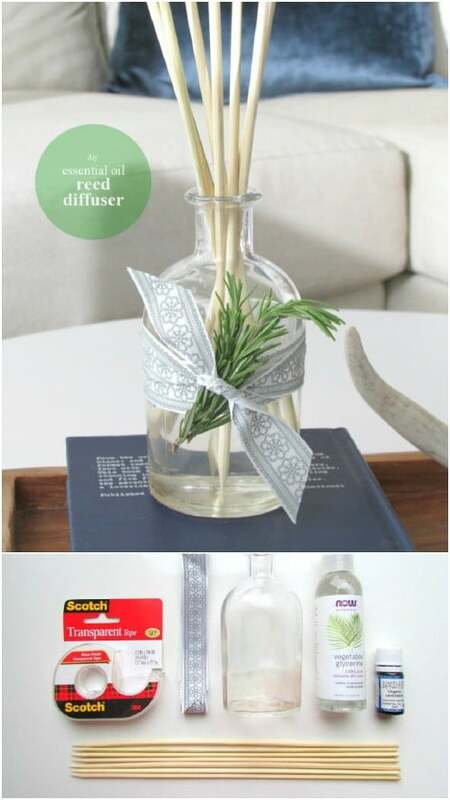 DIY gifts are not only more fun and less expensive to give, they are much more appreciated by your hostess. You could always just buy some flowers but she is sure to love a homemade candle or even a DIY wine cozy much more than something that you can buy at the flower store, or at the department store. DIY gifts are just more well received in my experience and they show that you really care because you take the time to make them. Although, most of these projects take very little time. You can also take a look at these 25 DIY gifts for the home, if you want to give your hostess something specifically for the house. These DIY hostess gifts include everything from homemade spa essentials to wine toppers and even some wonderful infused olive oils. Whatever her style, you are sure to find a great gift idea for her, and they won’t take you long to make. You can get the supplies for most of these at the Dollar Store or any craft store if you don’t already have them on hand. They’re all super special DIY hostess gifts that she is going to love receiving and you are going to love giving. And, when you wrap up that hostess gift, you can top it off with this lovely DIY paper flower gift topper. 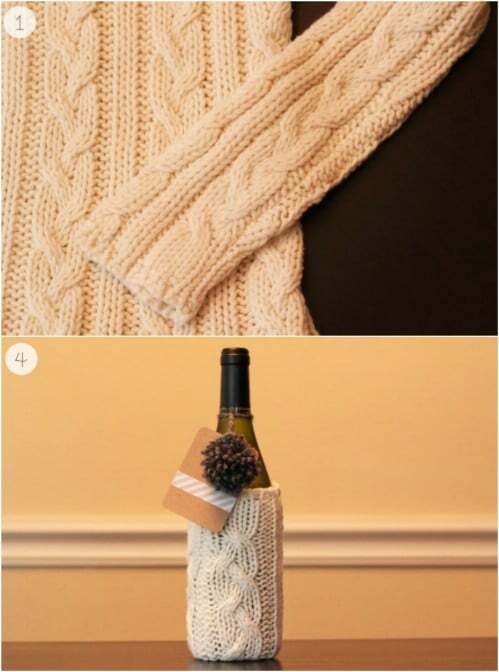 If you are planning to gift a bottle of wine to your hostess – which is a really nice hostess gift, by the way – then this repurposed sweater wine cozy is the perfect addition to that gift. Instead of those boring wine bags, put that wine in its own little cozy. You make this from the sleeve of an old sweater, which means that you can actually make more than one if you have more than one party this summer. 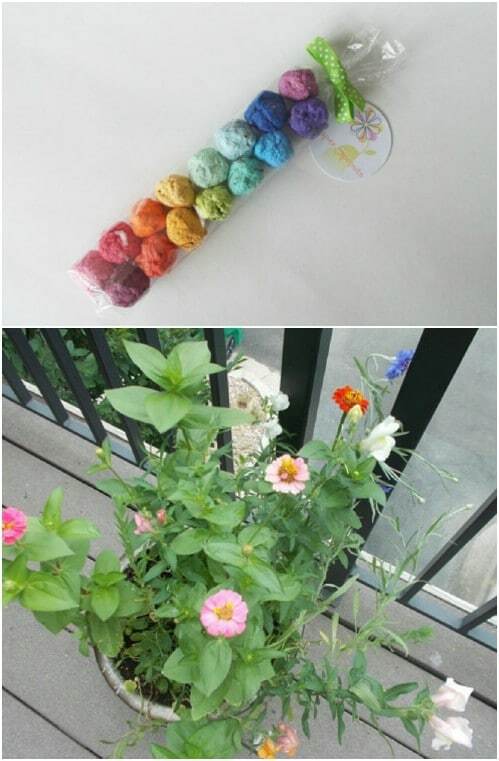 This is a great way to upcycle old sweaters. Positive statements are always a good gift and these come in the form of soy candles. If you love candle making, this is an excellent DIY hostess gift. Candles are so much fun to make and they are super easy. You can get all of your soy candle making supplies at Hobby Lobby or any other craft store. 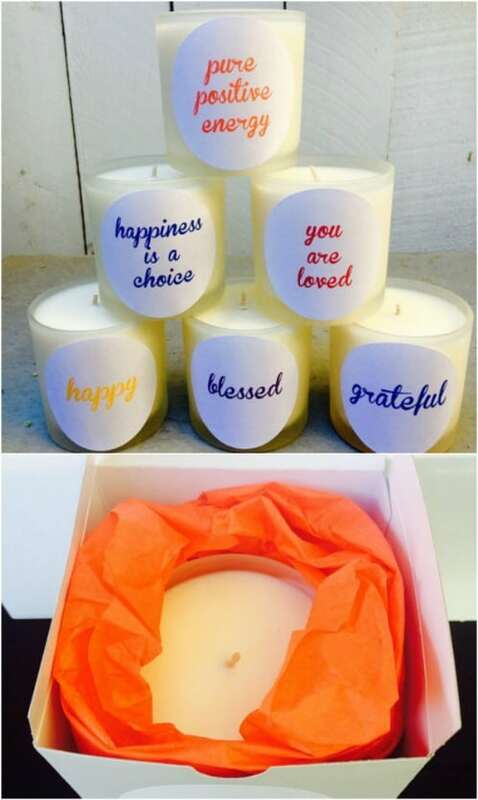 Or, you can take a look at these positive soy candles that I found on Etsy. You get your choice of statements and they are just $15 each. Wine glasses are a great hostess gift and these DIY chalkboard wine glasses are sure to be a huge hit. You can make these with cheap wine glasses from your local Goodwill or other thrift store. I found a nice set recently of four glasses for just a dollar, so they’re super cheap. 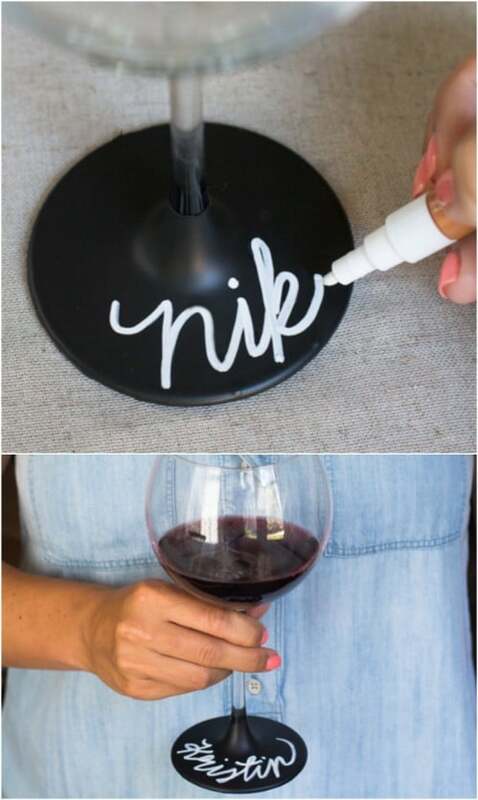 Then, you just use chalkboard paint to create the base and guests can write their names on their glasses so they always know where their wine glass is. I love this idea of turning an ordinary serving plate into a chalkboard platter. 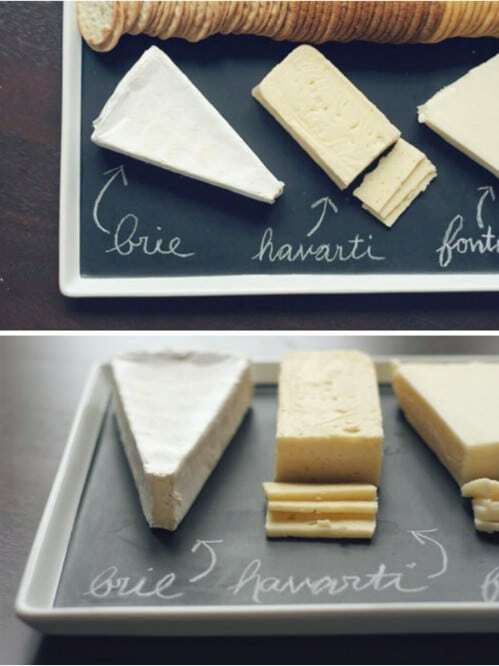 This is great for parties because your hostess can use the chalkboard to label the cheeses, crackers, or other snacks so every guest knows what is what. This is a super easy DIY hostess gift and if you check the Dollar Store or your local thrift store, you can likely get a large serving platter for just a couple of dollars. 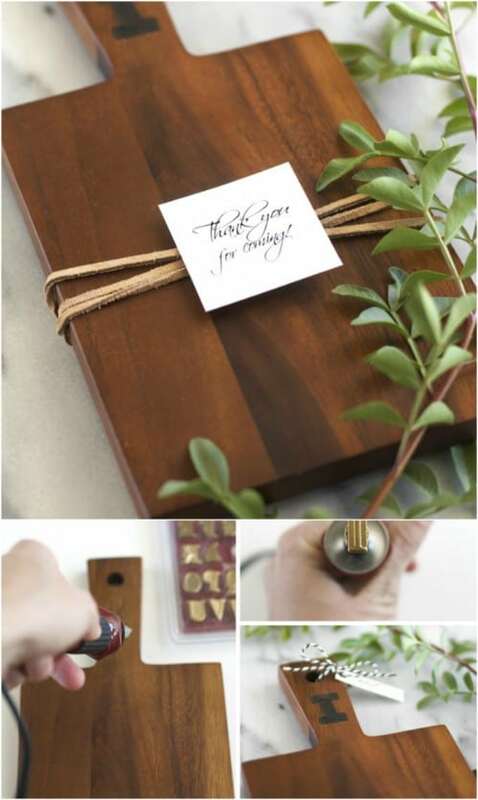 Turn an ordinary wooden serving or cutting board into the perfect DIY hostess gift with just a little customization. You can get wooden serving boards at the Dollar Store for just a few dollars each. Then you add a monogram of your hostess’s initial and turn it into a wonderful gift that she will love. Do this with a large serving board or make a few mini boards that are all customized with a monogram. I love the idea of gifting mulling spices to hostesses. They can use these spice sachets to spice up their drinks at the party or they could just boil them in water to make their entire homes smell wonderful. 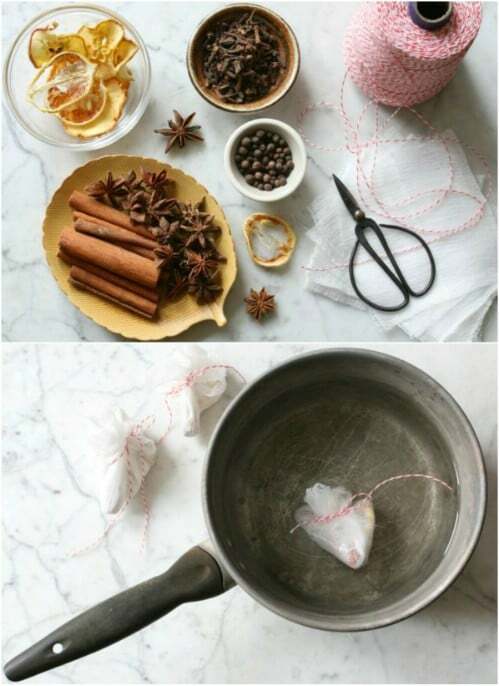 These are super easy to make and you can make several mulling spice sachets from just one batch. One piece of cheesecloth gives you about six sachets so you’ll have a special gift for all of your party hostesses this season. Reed diffusers make excellent hostess gifts, or anytime gifts. These DIY reed diffusers are also really easy to make and you can choose your scents based on the essential oils that you use. What is great about these DIY essential oil reed diffusers is they take literally only minutes to make, so you can put them together at the last minute. If you forgot to buy a hostess gift or you are invited to a party last minute, this makes the perfect quick and easy DIY hostess gift. Add a matching DIY essential oil spray, too. 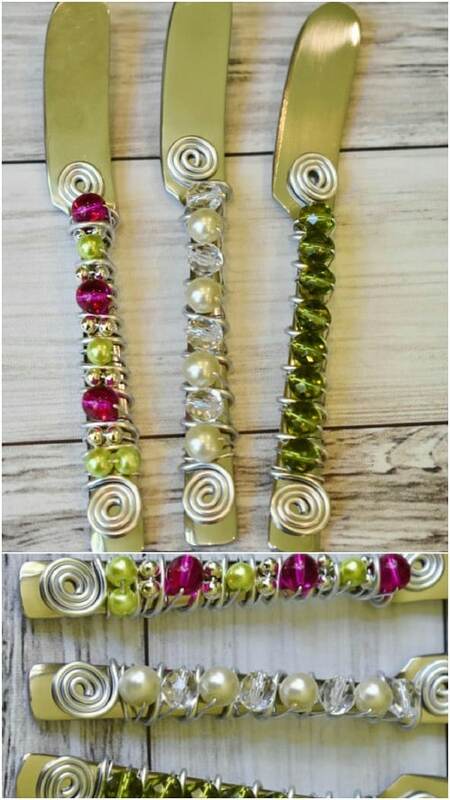 A cheese spreader also makes a wonderful hostess gift, especially when you deck them out with lovely beads and jewels. These beaded cheese spreaders are super easy to make with just an ordinary spreader – or you can use a butter knife, too. You just deck them out with jewelry wire and jewels and they become the perfect DIY hostess gift. I saw these on Etsy, where you get your choice of jewel colors and they’re just $10 each. 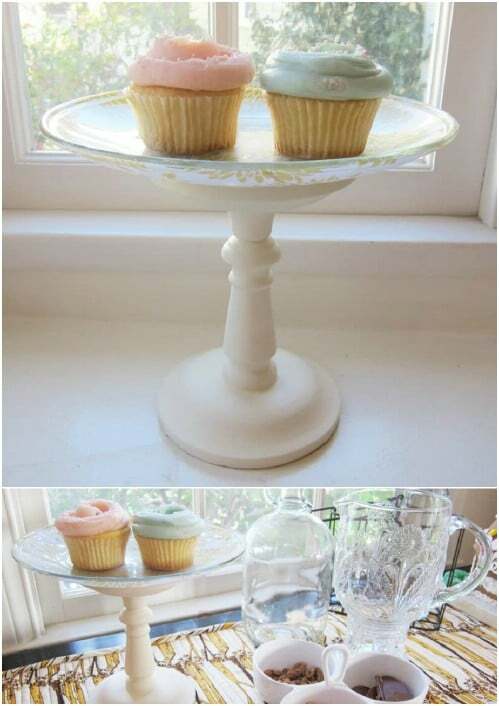 Get out that Mod Podge and make this lovely cake stand, that will only cost you about $3. You just need a cheap candlestick and a cheap plate for this one, along with your Mod Podge and some scrap fabric. This is an excellent way to repurpose fabric scraps that you have left over from other projects and you get a wonderful DIY hostess gift at the same time. 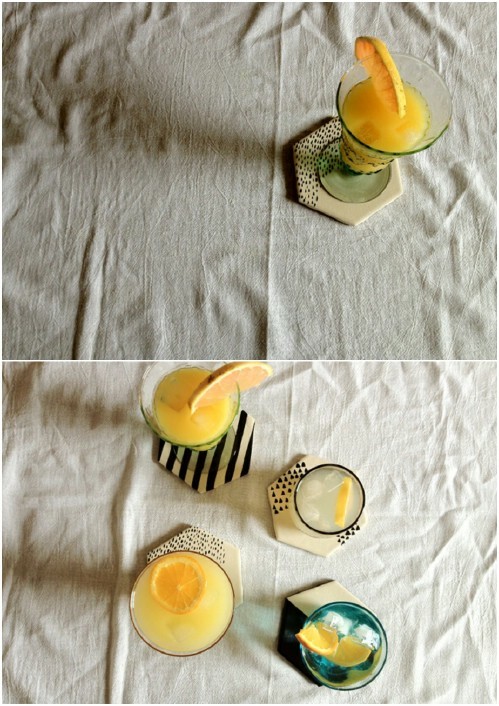 Coasters are a wonderful DIY hostess gift and these tile coasters are super easy, not to mention cheap, to make. For these, you just need some ceramic tiles, which you can pick up at your local home improvement or hardware store. Choose the design that you want to create and then get to painting! If you have paint and other crafting supplies on hand, these will only cost you about $5 for a set of four. Homemade vanilla extract is a wonderful DIY hostess gift, particularly if your hostess loves to bake. This recipe is super easy to follow and you get several bottles from just one batch. You can fill up four 8 ounce bottles with this one, so you’ll have a bottle of homemade vanilla extract for all of your summer parties, and one to keep for yourself. 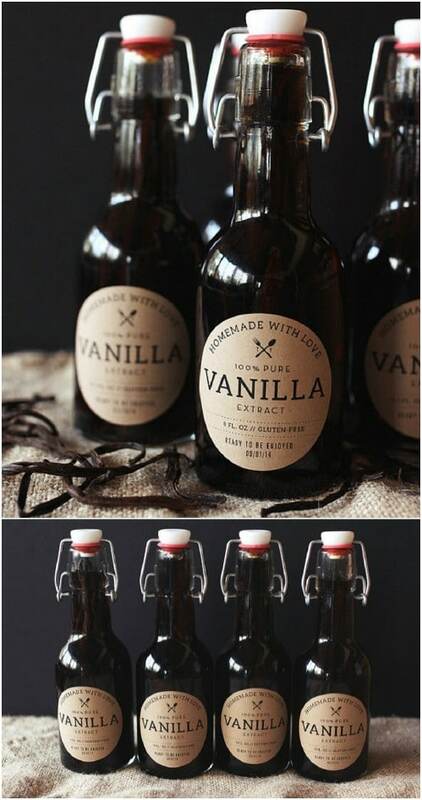 You just need some decorative glass bottles, vanilla beans and vodka to make this one. How wonderful would it be to offer your hostess the gift of beautiful hummingbirds? This DIY hummingbird garden kit is so easy to throw together and will certainly make your hostess’s day. You just give her things that would attract hummingbirds, like certain seeds in DIY seed pods. You could also do a homemade nectar and a hummingbird feeder, whichever way you prefer. Tie everything up in a nice little bag or box and you’re all done. Check out this one that I found on Etsy for inspiration – or if you like this one, it’s just $22.95 for the entire kit. Flowers are always a great go to gift when it comes to presenting something special to your hostess. This particular bouquet of flowers comes with some much needed kitchen supplies. This is such a unique DIY hostess gift and it is one that she is sure to love. 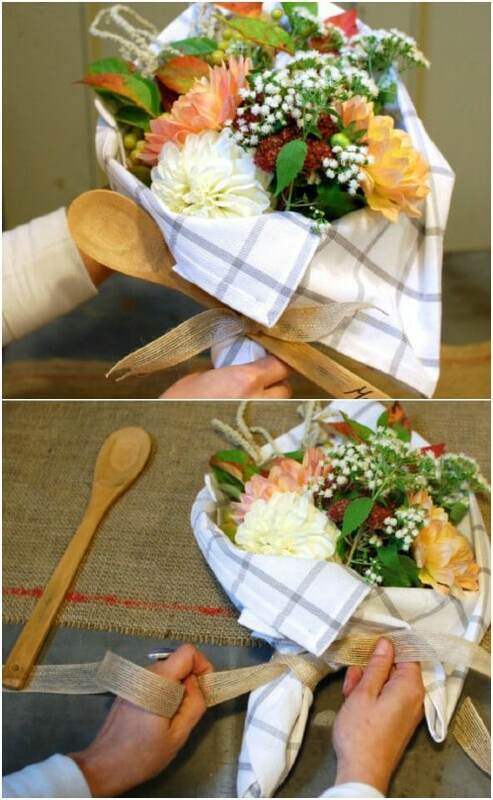 You just tie your flower bouquet up in a new kitchen towel and then add things like wooden spoons or other kitchen essentials to make it unique. Lemonade is such a yummy summer drink so this DIY freshly squeezed lemonade kit is the perfect DIY hostess gift. You just gather things like a glass pitcher, some fresh lemons and other lemonade essentials and put them all together for a wonderful gift. 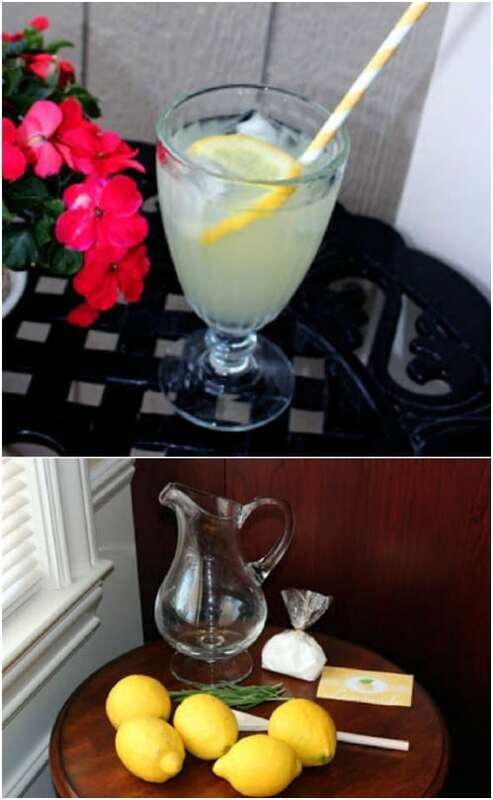 Your hostess can enjoy a delicious glass of lemonade while she’s relaxing after party cleanup or even serve the lemonade at the party. A personalized apron is a great DIY hostess gift, particularly for outdoor cookouts and barbecues. If you are heading off to an outdoor party this summer, this personalized apron is a must for your hostess. These are super easy to make and you can find blank aprons at any craft or hobby store or you can use a DIY apron. Then you just add your personal message and your hostess will love it. 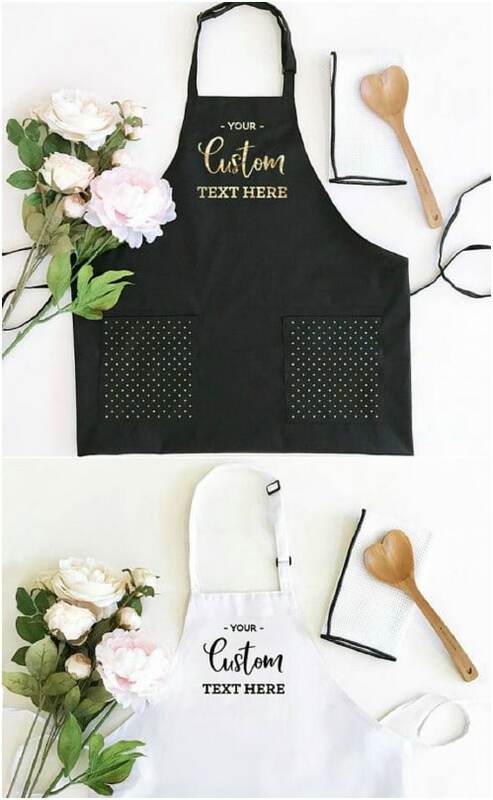 I found this one on Etsy and if you are pressed for time or just don’t want to have to embroider or otherwise personalize the apron, you can pick this one up for under $20. Infused olive oils make wonderful gifts for any occasion. 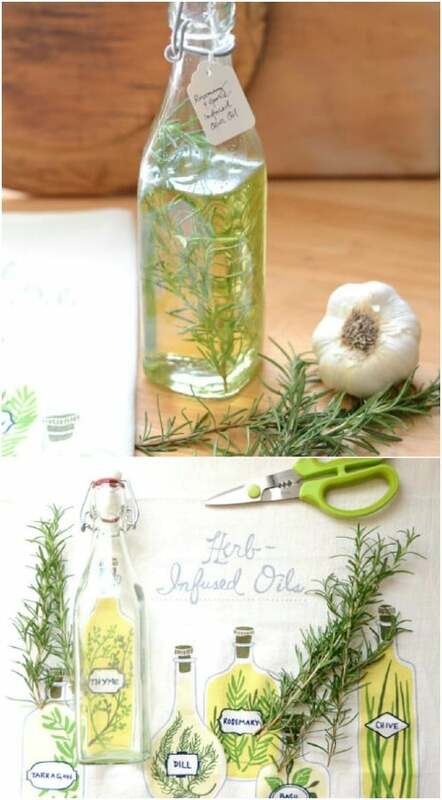 If you are looking for a unique and easy DIY hostess gift, this DIY rosemary and garlic infused olive oil is a great choice. It’s so easy to make infused olive oils and you can do several small bottles from one giant bottle of virgin olive oil. Then, you just add the flavors that you want to infuse your olive oil with and wrap it all up in a nice little decorative bottle. Scented bath salts are always a great gift choice and DIY scented bath salts are super easy to make. The hardest part is choosing what scent you want to use. If you have an upcoming party this summer and you just aren’t sure what to take your hostess, these scented bath salts are perfect. You can mix up a batch of these in minutes and you can get several small containers from each batch. 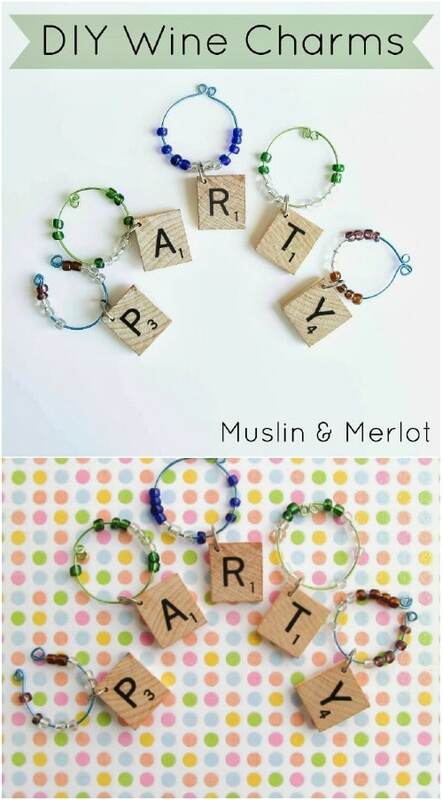 I love these DIY wine charms that you make from old Scrabble tiles. This is a great way to repurpose an old board game and get a great DIY hostess gift at the same time. To make these, you just need a collection of old Scrabble tiles and a few jewelry making essentials like wire and beads that you can pick up at any hobby or craft store. These are super easy to make and so much fun to give! 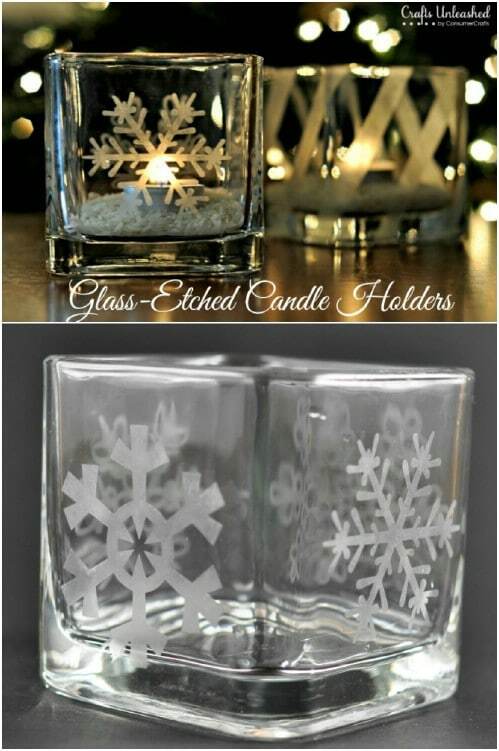 Candleholders make great hostess gifts and your hostess is going to love these DIY etched glass votive candleholders. These are easy to make and you can choose whatever design you want for the etching. Snowflakes are a great choice for holiday parties or you can do seashells or something similar for summer parties. These are pretty cheap, too considering you can get the candleholder at the Dollar Store for about a dollar. 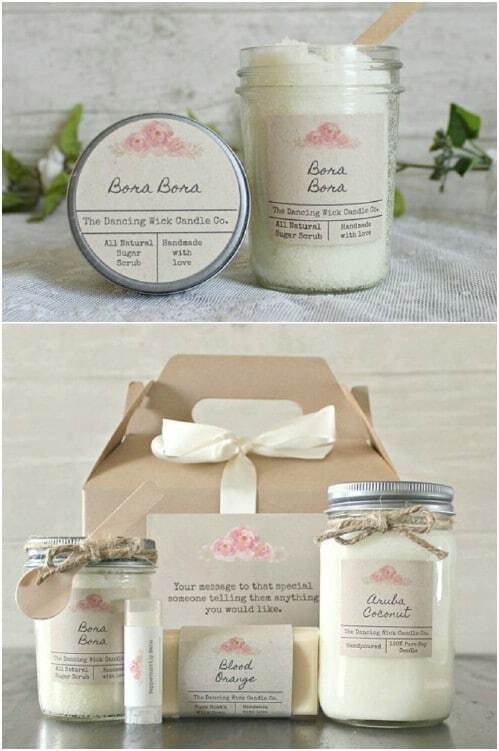 Give your hostess the gift of relaxation with a DIY at home spa kit. For this one, you just add a bunch of spa like items. 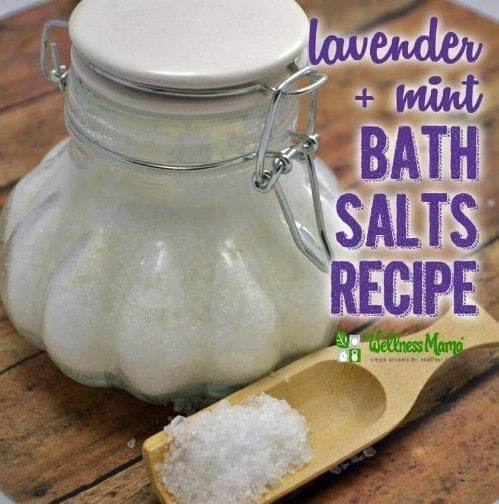 You could make your own bath salts or DIY bath bombs and add body butters, lip scrubs and any number of other things. Put them all in a nice box, basket or bag and really make your hostess’s day. You can even DIY all of the spa items to make it extra special. Or, take a look at the one that I found on Etsy for around $35. It’s filled with candles, sugar scrubs, Chapstick, goat milk soap and tons of other spa items. 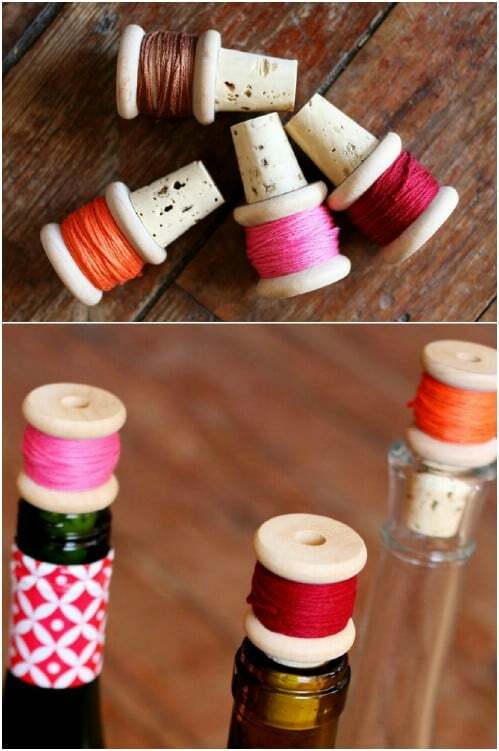 These DIY wine corks that you make from wooden spools are perfect for your hostess, particularly if you are also giving a bottle of wine. These will help to keep wine and other bottled drinks fresh and they are so easy to make. You can even customize the colors that you use to match her kitchen, her favorite sports team or anything else that you want to match. These DIY stamped tea towels couldn’t possibly be easier to make and they make a wonderful DIY hostess gift. 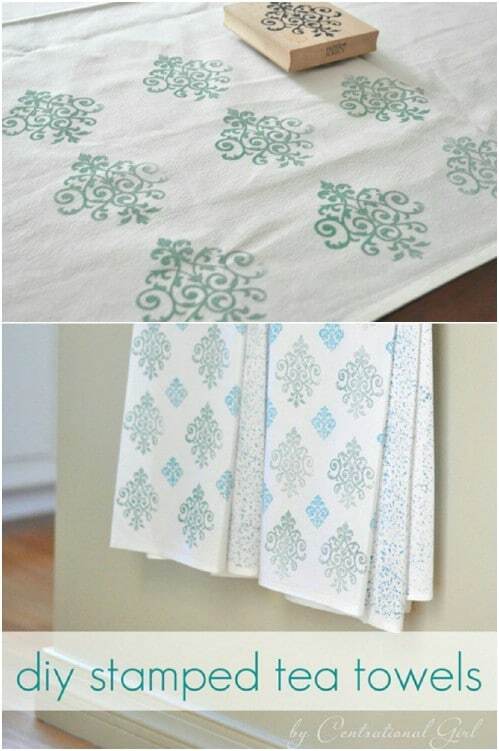 For these, you just need a couple of cheap white tea towels – check the Dollar Store for these – and the stamps that you want to use to decorate them. You can make your own stamps from foam and then you just need your chosen colors of fabric paint to make your design. 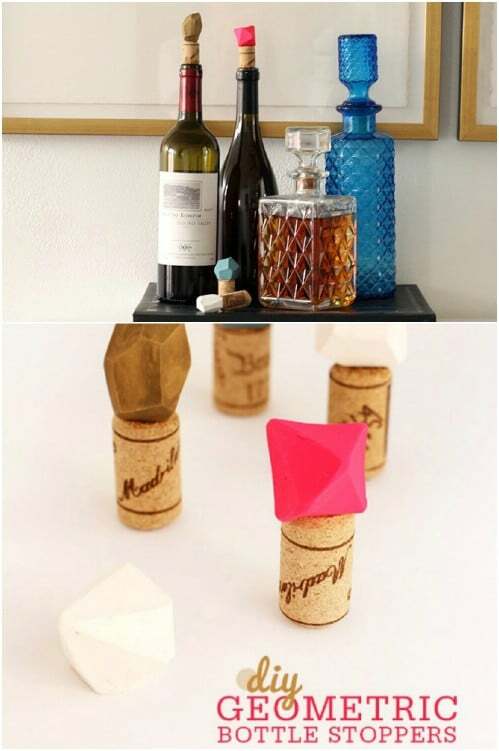 These DIY geometric wine bottle stoppers are really easy to make and don’t cost a lot, either. You make these from standard corks and modeling clay. Choose clay in different colors to make them unique. Once you have the corks and the clay, you just mold your design and then let it dry. They’re super easy and so pretty when they are finished. Even if you have never tried woodburning, these DIY customized wooden spoons are going to be an easy project, and they make a wonderful DIY hostess gift. You can add these to a gift basket of kitchen essentials or just give them on their own. Choose a design that you know your hostess will love. If she adores hummingbirds or flowers for instance, choose a woodburning design that goes along with her passion. Who doesn’t love wildflowers? 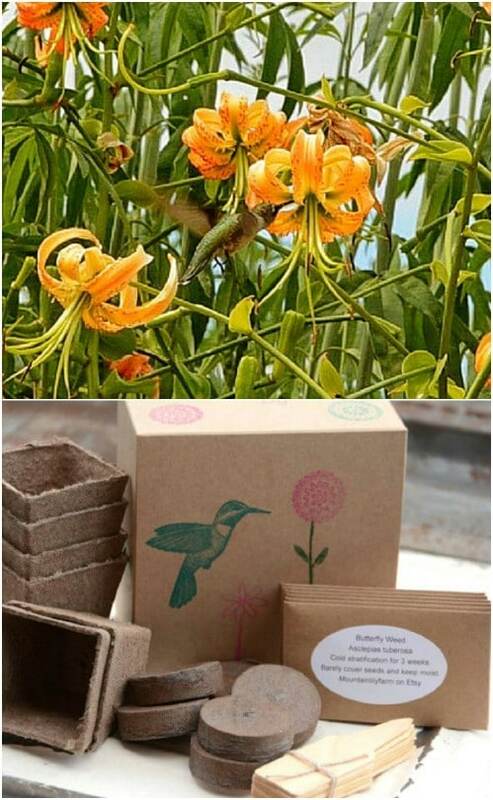 You can gift your hostess these wonderful wildflower seed bombs and let her plant her own wildflowers! She will adore these and DIY seed starters are so easy to make. If you prefer, you can just take a look at these that I found on Etsy. You get a bag of 15 differently colored wildflower species for around $20 and they are made from recycled paper so they are perfectly safe to plant.